FIFA 16 PC custom controls guide to help you customize PC controls and any other game controller. In case you’re playing the game for the first time or are familiar with other football games, this guide provides an overview of everything you need to know about the game’s controls on PC. In addition to default controls scheme, you can change the keybindings to your preference and choose between 3 controller configurations – Classic, Alternate, and 2-Button. 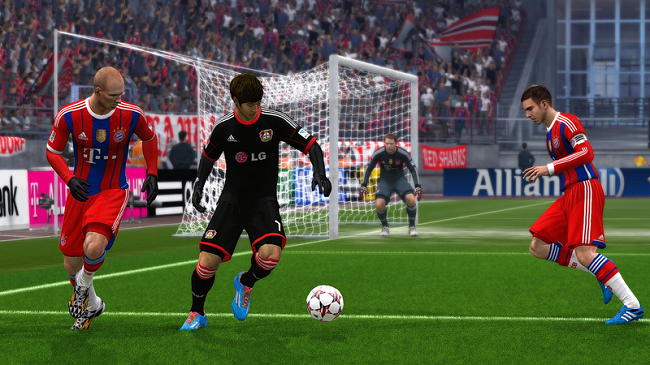 Below are a series of basic tips on defending in FIFA . The most important for gamers new to the game is probably to stay calm and not to hastily run to the opposing player. It quickly gets caught up as a defender runs the midfielder on the attacking half. One can certainly do that if one gets a counterattack with a loss of the ball. Missing the central defender in the defense can end badly. As mentioned above you can start pretty backwards when in defending by just running towards the opposing players and performing a sliding tackle in the hope of scoring the ball. In many cases, it does not happen. You should just use slide tackle if it’s really necessary. If you go too far with the defensive players and expose a hole in the defense, it’s not only dangerous but also affects the endurance of your defenders. When it then comes to a sprint duel, you have already as good as lost if no enough endurance is available. Therefore, don’t sprint too much, at least not when it is not absolutely necessary. 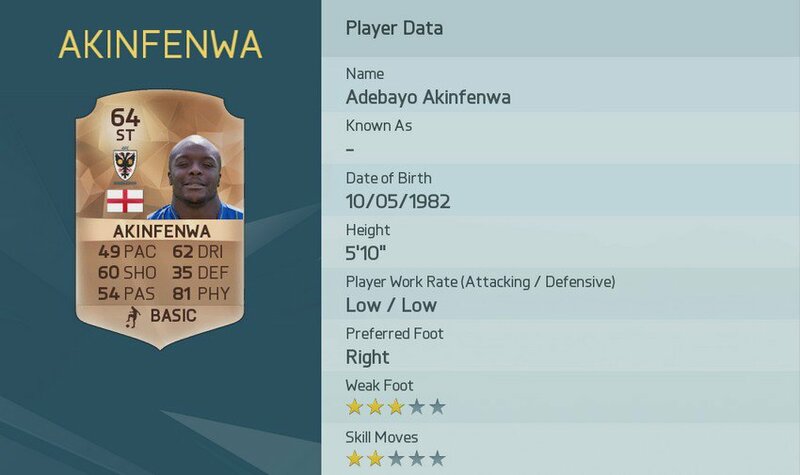 We’ve gone through the stats and picked out the top ten FIFA 16 heaviest players and the list is a nice mix of familiar faces and names we had forgotten about a bit. These may be players that you want to sign in Career Mode or Ultimate Team or even just to use against your mates to bully their players. Here’s the list in full. Football video games are becoming more and more true to life with each passing year, and EA Sports’ latest instalment of the successful FIFA series, FIFA 16, is no exception. French champions Paris Saint-Germain have evolved into one of European football’s powerhouses since their acquisition by Qatar Sports Investments back in 2011. Their development has been accurately tracked by their transformation into one of the strongest teams in the FIFA franchise. 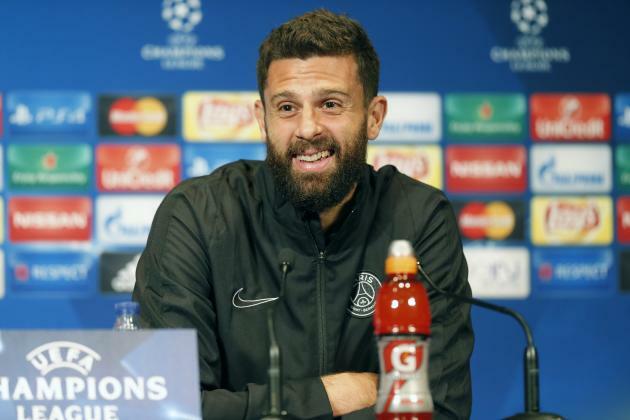 However, EA Sports are not going to get every player 100 per cent accurate in each edition, and one of the PSG players who is underestimated by his FIFA 16 statistics is midfielder Thiago Motta. The Italy international is a key player for Les Parisiens under coach Laurent Blanc and is still very much underrated by many in the footballing world. That is reflected in the 33-year-old’s attributes in the latest FIFA game. Although Motta is physically and mentally accurate in FIFA 16, the virtual version is not as technically proficient as his real-life counterpart, and his overall rating of 81 is arguably lower than it should be. Perhaps a combination of the Azzurri star’s age and consequent physical decline has detracted from his overall score, but a closer look at his individual characteristics shows that one or two could be raised higher to make the PSG No. 8 more influential on the game. Motta’s crossing, at 66, curve on the ball, at 67, free-kick prowess, at 67, and sliding tackle, at 75, ratings arguably should all be higher. Although not renowned for whipping in crosses from wide mid-match, the former Internazionale man takes set pieces for the French capital outfit. In order to make him more effective from them on the game, Motta needs his crossing and curve in particular to be adjusted to enable better delivery. As a corner taker with his left foot, he is a regular source of goals for PSG, even if he does not always provide them directly. The Italian’s long shots, at 73, marking, at 72, and penalties, at 70, could all do with looking at as well. Although Motta is not known for his prowess from long range, he is capable of scoring the odd screamer, and his shot-power rating should enable him to replicate that occasional habit in the latest FIFA offering. As one of PSG’s most defensive figures on the pitch, the ageing star’s marking arguably deserves better than a rating of 72. When defending set pieces, Motta is one of the players who can most easily get to aerial balls thanks to his jumping and heading abilities. In order for Les Parisiens’ metronomic defensive midfielder to be able to play a similarly important role on the game, he would need to be better rated. Finally, although not asked to step up and take penalties often in Paris, Motta is also good from the spot and deserves better than the 70 he has been awarded in FIFA 16. Witness his cool finish against Chelsea in the penalty shootout at this summer’s International Champions Cup for a demonstration of his ability from close range. Despite his age, Motta remains one of the best in the world in his position. There are few players who can do what he does, and it was unsurprising PSG did everything they could to keep him this summer, ultimately tying him to a one-year contract extension. Motta remains indispensable to Blanc and the Ligue 1 champions, and he is deserving of a higher technical rating in FIFA 16. This was perhaps neglected because of the way Motta silently and effectively goes about his job in the midfield. In many ways, this is a compliment to the PSG man, as many still take him for granted despite the fact he has been an established figure in the European game for the best part of the last decade.